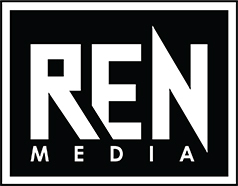 REN Media was started because we saw the need for affordable yet quality video production. We realize that everyone’s budget will be different, so we are able to customize our services and pricing accordingly. We will go over your needs and goals with you to find the perfect balance between product and budget. From our experience, the lowest amount spent by a company for promotional videos is usually around $500. The maximum is around $3,800. If you would like to get an estimate for your project, check out our Estimate page. Do you offer discounts for multiple video contracts? Yes we do. Your business may need a video series or perhaps three or more videos at a time. We can help keep costs low by scheduling the video shoot so that several videos can be shot at once. This saves time and money for all parties involved. We price our work per video. Purchase of 3 videos or more is eligible for a 5-15% discount. Will my video take a long time to produce? To produce a 1-2min video on average takes on average 1-2 weeks. What kind of video should I have made for my business? This will depend on your marketing goals, where your video will be published and your overall intent for the video as related to your company. For companies that have not produced any videos yet, we recommend creating the Company Profile/About Us video to start. This video inspires customer confidence and is very easy to publish on platforms that most companies already use. Can I just make the video myself? Absolutely! Depending on your marketing goals, that is definitely possible. These days excellent video quality can be recorded on our phones and inexpensive cameras. With simple editing software, you may be able to create the videos you need yourself. This will work well for basic social media videos. We offer a consultation service for customers that want to create their own videos. We can help you come up with video marketing goals, create a production schedule, and video outlines. As well as offer feedback on your video drafts and tips for getting your videos noticed on different social platforms. Feel free to Contact Us or Request an Estimate. My friend is a video editor. Can you just shoot the video for me? Of course! For best results we recommend meeting or at least scheduling a call to go over the video details. This will assure that we get the shots that you and your editor are looking for. Feel free to Contact Us if you have questions or Request an Estimate. Can you make one of those cartoon videos that are popular on social media? They sure are popular! Yes we can create a cartoon video for your project. Do you offer drone video production? Yes we do. Very commonly drone footage is included in your video project package. We also offer drone video services exclusively if needed. Are your videos shot in high definition? Always! Our minimum resolution used to shoot our videos is 1080p, full high-definition. If requested, we can also shoot and export in 4k. This will greatly vary depending on the scope of your project. Generally, our video projects start at $400 per video, for a full production project, resulting in a 1min video. Essentially, your budget will determine the amount of videos and length that we can provide. Smaller projects, such as quick animated video, logo animations, typography videos, ect… for social media, will of course be under in the $50-200 range. Of course, these are rough numbers. If you would like to get an estimate for your project, check out our Estimate page. Yes we do. A lot of times businesses are in need of a video series and not just one video at a time. In these cases we recommend scheduling the video shoot so that several videos can be shot at once so that costs are kept low. We generally price our work per video, so for 3 videos or more, we can provide a discount. The discount averages from 5-15%. The videos that we are hired to produce most commonly are 1-2min in length. To produce these types of videos it usually takes 1-2 weeks. As a rule of thumb, the end product video length will determine the amount of time needed to create the video. Depending in your marketing goals, that is definitely possible! These days excellent video quality can be recorded on our phones and inexpensive cameras. With simple editing software, you may be able to create the videos you need yourself. This will work well for simple social media videos. Of course! We would be happy to. For best results we recommend meeting or at least scheduling a call to go over the video details. This will assure that we get the shots that you and your editor are looking for. Feel free to Contact Us is you have questions or Request an Estimate. Yes we do. Very commonly drone video is included in your video project package. We also offer drone video services exclusively if needed.